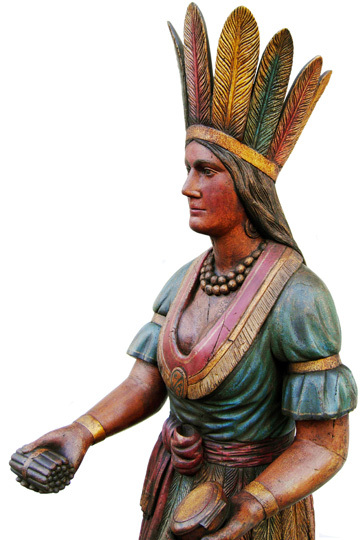 Carved and Painted Tobacconist Figure of an Indian Maiden, Thomas Brooks (1828-1895, worked in New York City and Chicago, IL). 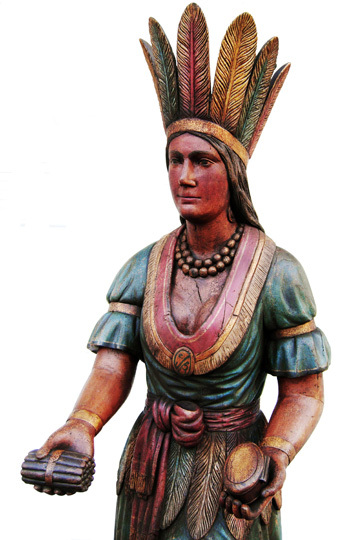 Full feathered headdress, feathers hanging from the waist, earrings and beaded necklace, fringed leather dress and leggings, right hand extended holding a bunch of cigars, the left hand extended holding a tobacco moll for chewing tobacco, typical knotted sash at the waist, left foot raised on a block. 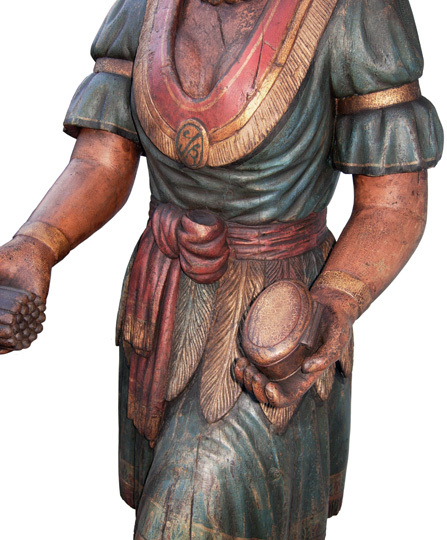 Some restoration, 82” tall.